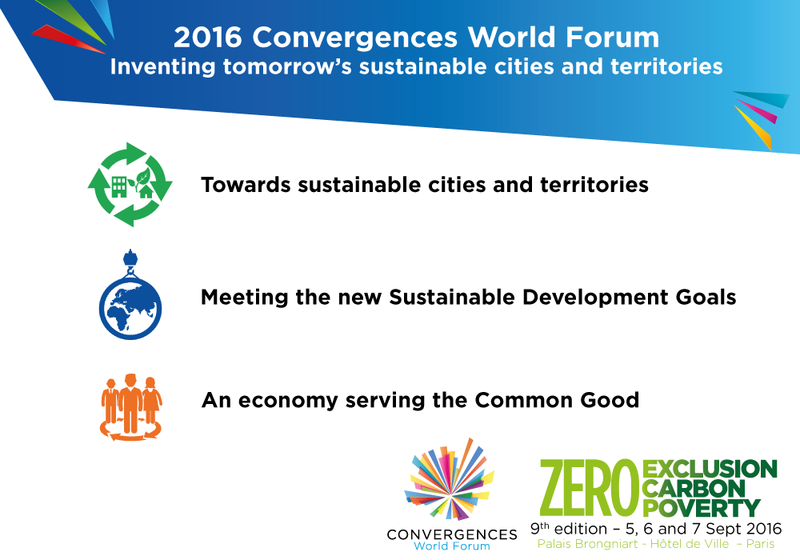 The 9th edition of the Convergences World Forum inventing tomorrow’s sustainable cities and territories will take place on September 5th, 6th and 7th 2016 in Paris. Join us for 3 days of exchanges and co-construction around 50 events, 350 speakers and 8000 experts. Let’s build together a “Zero Exclusion, Zero Carbon, Zero Poverty” world. Check out the programme of the 2016 edition and get an insight of the future sessions. A complete version of the programme and a detailed list of the speakers will be available shortly. Suscribe to our newsletter to be informed. Discover the best off video of the 8th Convergences World Forum (in French)!